So many sparkling diamonds! 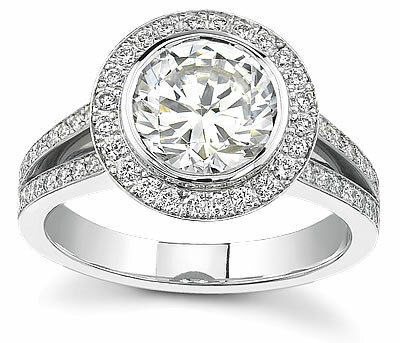 Also one of our most sought after engagement rings, this 18k white gold ring features a spit-shank design which highlights the gorgeous round center stone. Stunning!